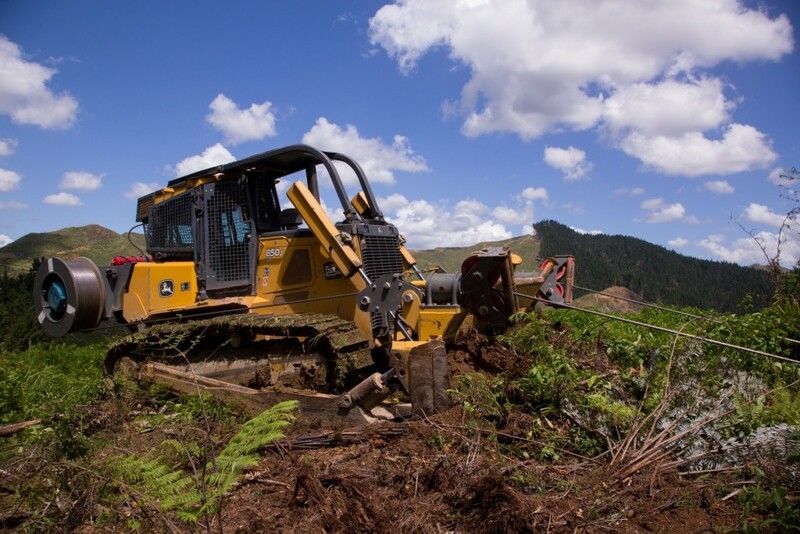 Rob is state-of-the-art forestry machinery that uses a winch-assisted, dynamic rope system based around a bulldozer. Why use a bulldozer as the base? Bulldozers have a low centre of gravity - plus the blade makes an ideal anchor. The tethered logging machinery is extremely safe. Bulldozers give the tethered machine a wider scope than an excavator, as the fairleads go up to 45° either side of the bulldozer. What are the benefits of working with Rob? 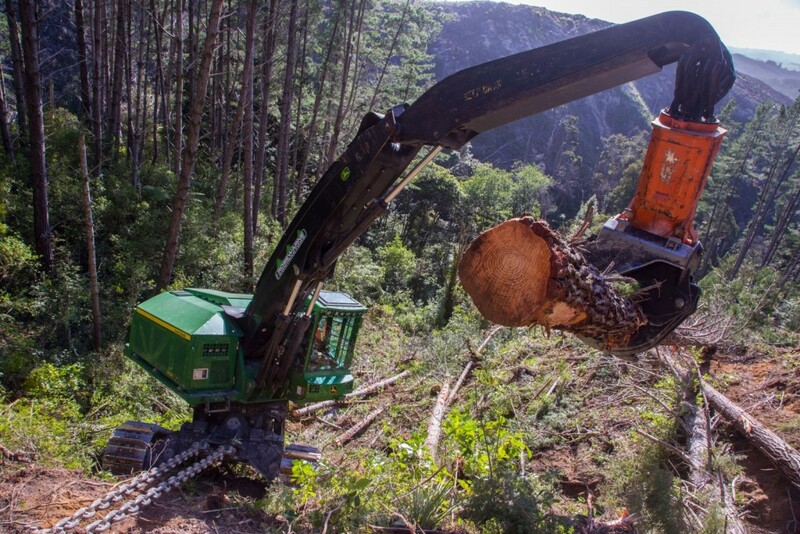 Year-round operation: Rain is no longer an impediment to safe logging. Safer on steep slopes: Whereas untethered machines are unstable on slopes up to 20° (36%), ROB allows tethered machines to work safely on slopes up to 45° (100%). 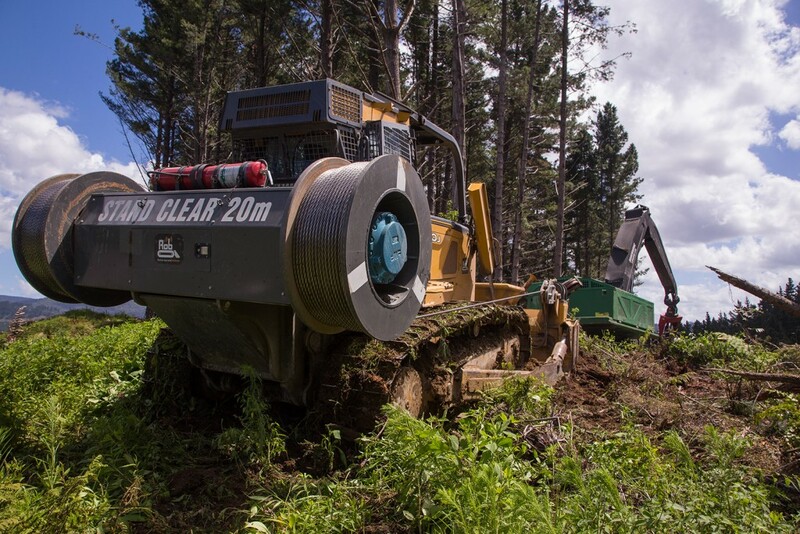 A wider reach: The fairleads go up to 45° each side of the bulldozer, so the tethered machine has a wider scope. 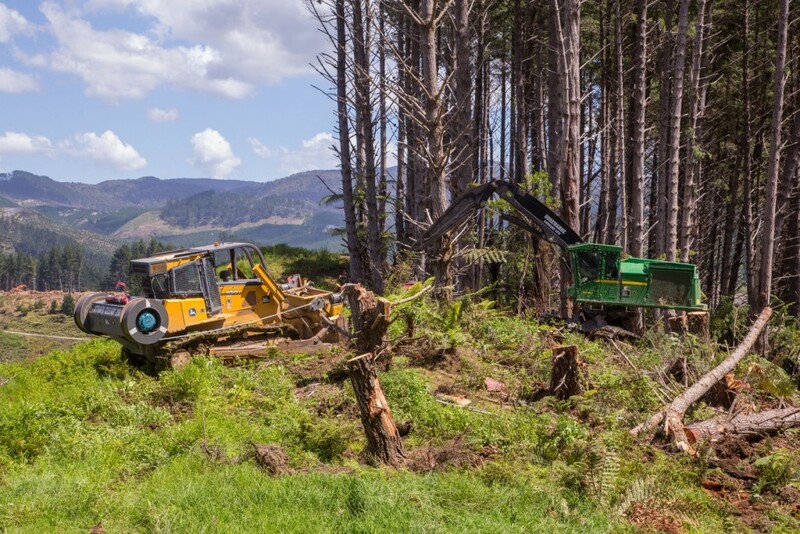 This means that more efficient felling patterns can be implemented, resulting in productivity gains. Productivity: A single operator can cut an average of 700 tonnes (771 US tons) a day – usually the work of 3 or 4 men. Soil disturbance: Rob minimises the "footprint" left on the hill side which benefits Forest Owners, Local Authorities and the environment as a whole. Staff safety: We provide comprehensive staff training so that operators can confidently operate Rob in a safe manner. Rob also comes with warranties, plus a servicing and maintenance schedule. What makes Rob a safe choice for steep slopes? Twin winch system: Two ropes are safer than one for your tree harvester. And each rope has a 21 tonne (26 US ton) safe working load. There is a spring-loaded fail-safe brake on each winch drum. Hydrostatic drive: Allows greater operator control, including measuring how much rope goes out and how slow or fast it unravels. Tension monitors: The operator can check that the winches are functioning correctly. Bulldozer base: Provides the most sturdy anchor possible. Detection system: With instant shut down of the drums in the event of rope jumping off winches. Electronically alarmed: Automatic machine shutdown if water overheats, the oil runs out, or a hose blows. Continuous innovation: Continuously developing and upgrading ROB’s software. How did the remote operated bulldozer come about? 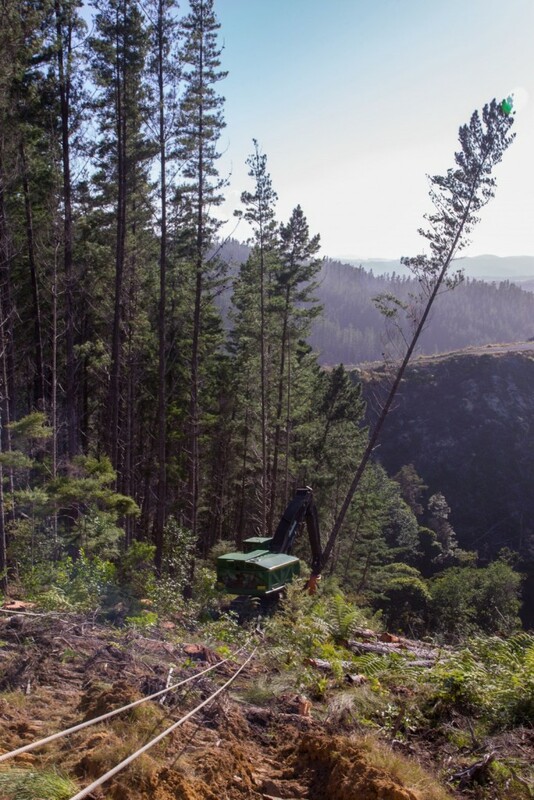 Lars Rosewarne, co-inventor of Rob, has been running his logging contracting business for over 25 years, cutting over 600,000 tonnes a year. This is no mean feat in an area dominated by steep hillsides, and slippery clay soil. 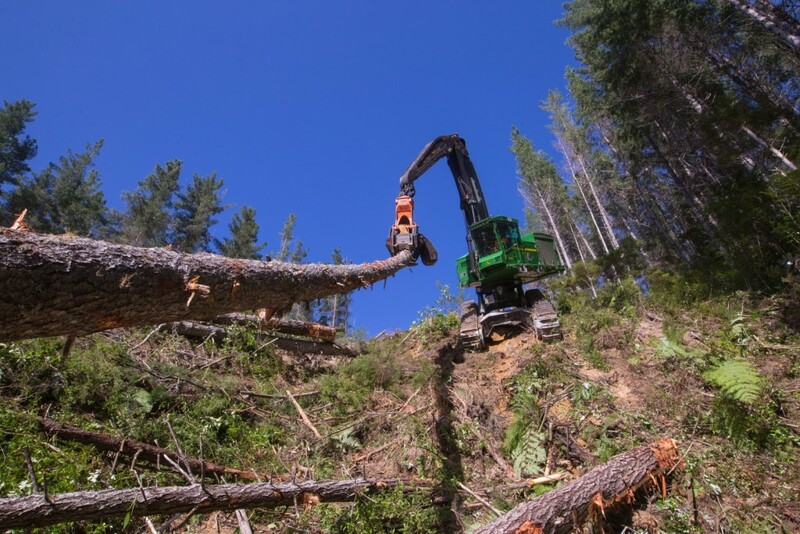 Traditional logging machinery becomes unstable at 15 to 20° slopes. And this conventional equipment can only be used for 7 months of the year, as it is too wet and rainy to operate safely the rest of the year. 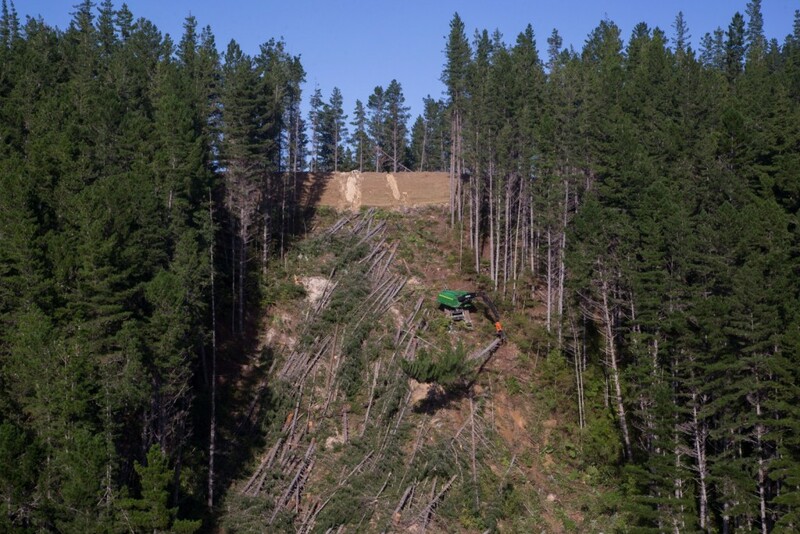 Then, because of safety issues in the logging industry, in 2013 New Zealand's largest forest owner decided that 100% of ground based harvesting and 80% of steep slope harvesting would need to be mechanised within a year. 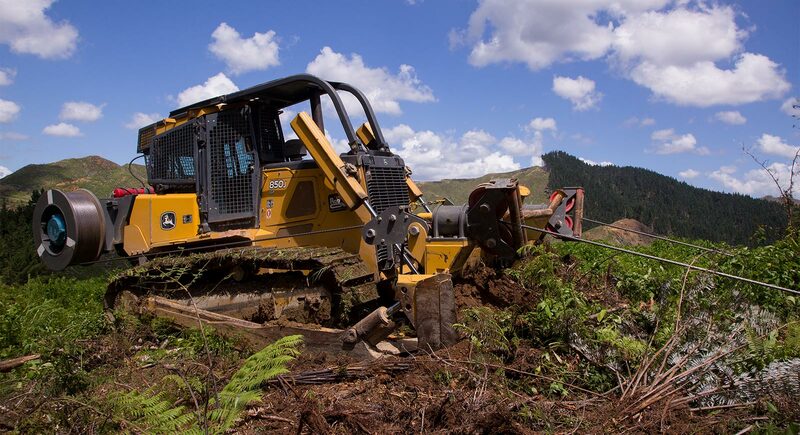 Lars Rosewarne and forest machinery engineer Iain May realised they had the perfect solution: Rob, the Remote Operated Bulldozer. Rob is the intellectual property of Rosewarne & May Limited, New Zealand. Rob is now for sale worldwide.